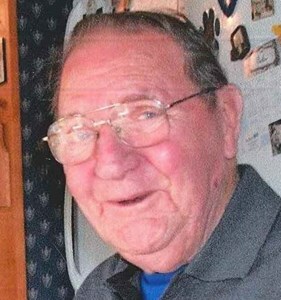 Matthew Gemmell, 85, of North Syracuse, passed away on Tuesday at St. Joseph's Hospital. Matthew was born on May 17, 1933 in Glascow, Scotland. Matthew enjoyed watching SU Basketball, football and soccer. Matthew is survived by his daughter, Karen Dennis; son, Matthew Gemmell, Jr.; step-sons, Kenneth Cossway and Pete Crossway; Grandchildren, Nieces and Nephews. To share a memory of Matthew or leave a special message for the family, please click the Share Memories button above. Add your memories to the guest book of Matthew Gemmell. My sincere condolences to the Gemmell family on the passing of Matt. I worked with Matt for years at Dot Foods. He always had a smile on his face and was quick with a great joke. Rest In Peace friend. Sorry for your lost. We (from the pool)have coffee with Matt every Tuesday. I worked with Matt at Dot Foods for several years and have fond memories of him. He always lit up the room when he would come in and I always would stop working to chat with him. He had a great sense of humor and I never had a conversation where he didn't make laugh and smile and always left me in a better mood. I'm so sorry for your loss my deepest condolences to the family. Uncle Matt you will be greatly missed.